Mahjong Time, an industry leading provider of online multiplayer Mahjong software and turnkey solutions and Blastworks, Inc., a Seattle-based creator, publisher, and distributor of free-to-play casual games, are joining forces to re-launch an exciting new experience on mahjong.com. As of today, Mahjong Time’s software and industry experience is powering Blastworks’ www.mahjong.com – one of the most visited Mahjong sites in the world. The implementation of Mahjong Time’s cutting-edge and feature-rich EON platform allows www.mahjong.com to host tournaments for players of all skill levels. Founded in 2004, Mahjong Time is the premier provider of mahjong software and complete turnkey solutions, whose customers include the likes of RealNetworks and Matchmove Games (Yahoo Asia). The Mahjong Time platform is available in four languages, and provides 8 mahjong rule sets, including 3 variations of Japanese rules, that appeal to the needs of discerning players worldwide. Offered features include subscription and/or free-to-play with microtransactions payment models, tournament play, cash skill games, full-featured in-browser and downloadable clients, iOS and Android apps, and 1-click social login. Blastworks a U.S.-based subsidiary of Gaming Realms Plc. is focused on finding the gamer in every player, young and old, across the globe. We specialize in developing and publishing great free-to-play social casino-style games including our flagship brand Slingo®, currently celebrating its 20th year in the market. 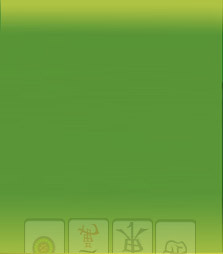 In addition to a portfolio of games on iOS and Android app stores, Blastworks operates the popular websites Slingo.com, sudoku.com and mahjong.com.